All the vendors sticking it out through the last five weeks of the Market should send me an email so that I can promote you and your products. Let your customers know that you will still be there! The LDDA and DFCM will be hosting a Vendor meeting on Sunday, July 31st at 6pm in the training room at My Office & More, located at 122 E. Main St., on the Northwest corner of Main St. and Tennessee Ave. We will have appetizers and drinks and be presenting marketing ideas for you and your business. After the presentations, there will be a time for open discussion. Please bring your ideas, questions, and concerns. It might be hot outside, but the deals are even hotter at the Market. 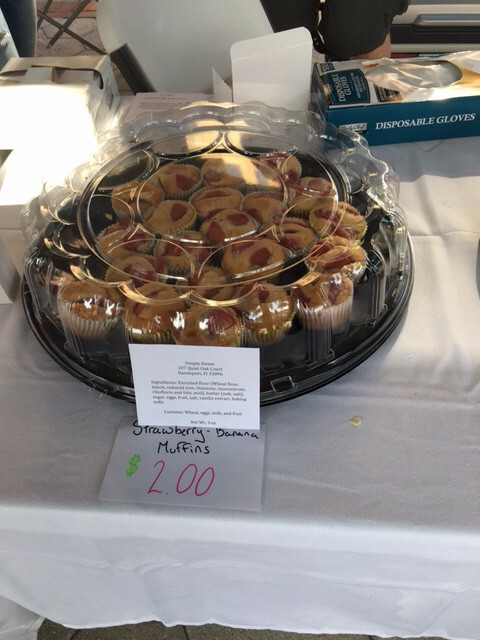 Check out the fresh produce and seafood, the ready-to-eat goods, the unique artistic creations, and the other hand-made merchandise that our amazing vendors have to offer. Can't wait to see you all on Saturday. Produce Picks of the Week! Read about what our farmers and produce vendors are featuring this week. 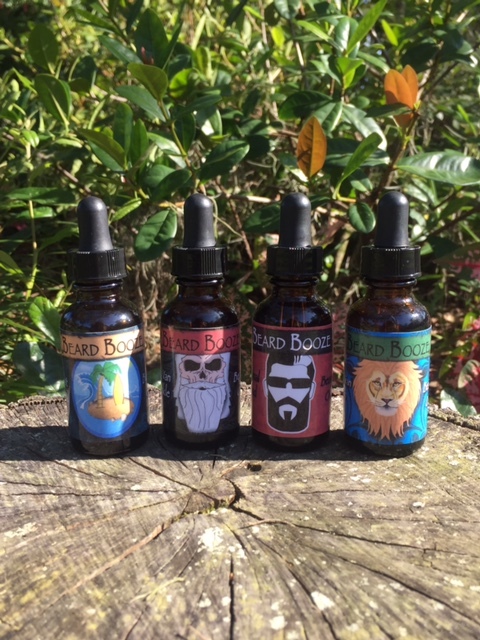 Check out their all-natural, handcrafted beard care products, including: beard oils, beard balms, mustache wax and combs. What a great, unique find for someone special. Simply Sweet makes yummy baked goods--one type of item that we can't get enough of! Brian Sutherland will be performing on Saturday, July 2 and Saturday, July 30--our final Market day! 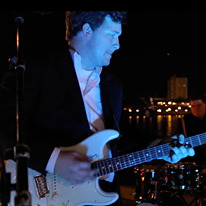 Market customers always rave about Brian's performances--don't miss out! Check out all of our vendors describe their products. Check out a round-up of all the great things you can find at the Farmers' market! Did you see our last commercial? Watch customers talk about why they visit the Market! Did you catch us on PGTV? Watch Julie and Brittany talk about all the reasons that our Market is awesome! 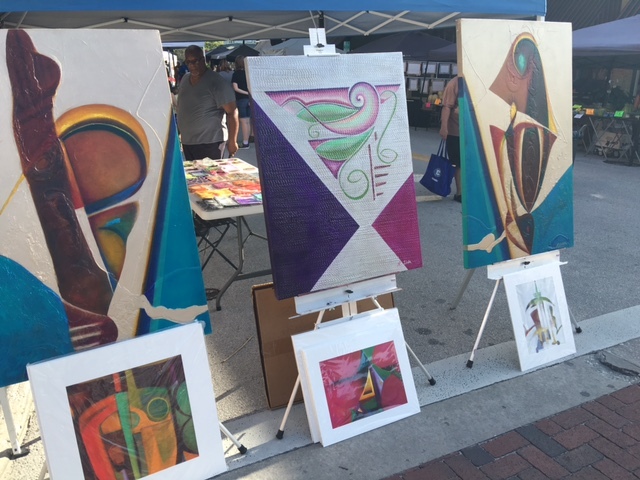 Due to the new construction on Bay Street, the Market now stretches directly north from the train tracks, up North Kentucky Avenue, across Pine Street and Bay Street, all the way to Oak Street. That's approximately five blocks of Market fun! 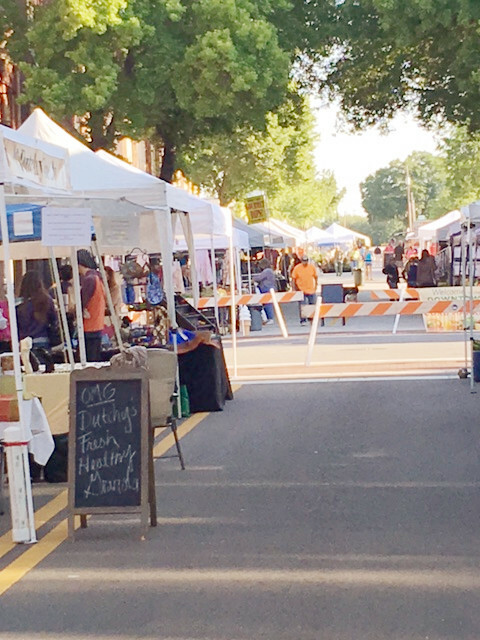 There is parking conveniently located at both ends of the market--on Oak Street and across the train tracks by Munn Park. 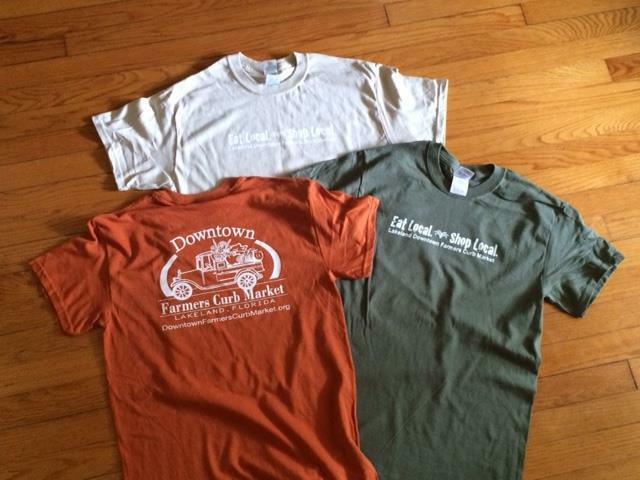 As always, there is also on-street parking on Tennesee Ave. and Pine St.
T-Shirts are available at the Market in three colors: sandstone, olive green, and an earthy orange. In order to ensure you get your size and desired color, you can also purchase your shirt online and pick it up at the Market. Remember to recycle your used, clean plastic bags at the Market! Or pick up a new, reusable Market shopping bag for $1 at the FAB/Information Tent! 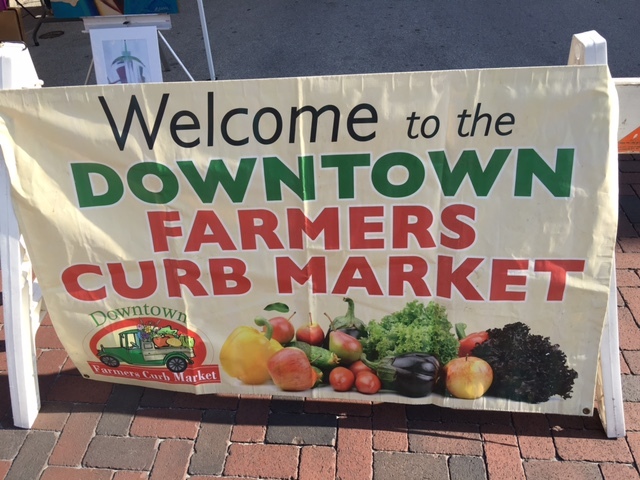 Copyright © 2016 Lakeland Downtown Farmers Curb Market/LDDA, All rights reserved.